Focus on the Knickernappies Diaper Sprayer, Plus a Giveaway! There are many options for dealing with poop and cloth diapers. If your baby is exclusively breastfed (EBF), you will find that you can just throw your soiled diapers into the diaper pail without worrying about the poop. EBF poop is water soluble and will just wash away in the washing machine. Thankfully, it doesn't smell horrible either, so you won't be bothered while it sits in the diaper pail for a day or two. But what if your baby drinks formula or is eating solid foods? There are multiple ways to deal with the waste. You can use the old method of dunking the diaper into the toilet and shaking the poop out, flushable liners will also help catch the majority of the waste, or you could invest in a diaper sprayer. I have had the chance to use other brands of diaper sprayers and Knickernappies remains my favorite! One brand doesn't have proper water pressure, it was nearly impossible to get my diapers sprayed clean. The other brand tended to leak constantly and it was more expensive! We are giving away a Knickernappies sprayer on the Cloth Diaper Revival blog! Don't miss your chance to win! 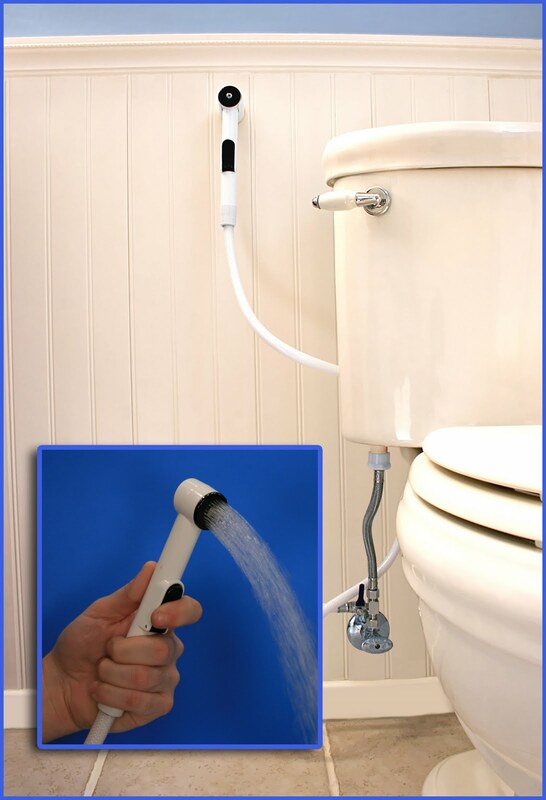 Have you invested in a diaper sprayer? Don't forget, there are many uses for your sprayer other than just cleaning cloth diapers! I'm Jenny, the mama behind the blog Cloth Diaper Revival. I'm a stay at home mom to Noah and a wife to Chas, the cloth diapering dad. I used to be a 3rd grade teacher until I was blessed with the birth of my first child, Noah. Cloth Diapers, Where and how can you get started? One Size or Sized Diapers?